E Eats Everything! I am a 12 year old who LOVES to eat and try new restaurants and foods. This is a place for me to write about my restaurant and food adventures. I went to a place called Menchie's. It was kind of new, since it had been open for 2 months. 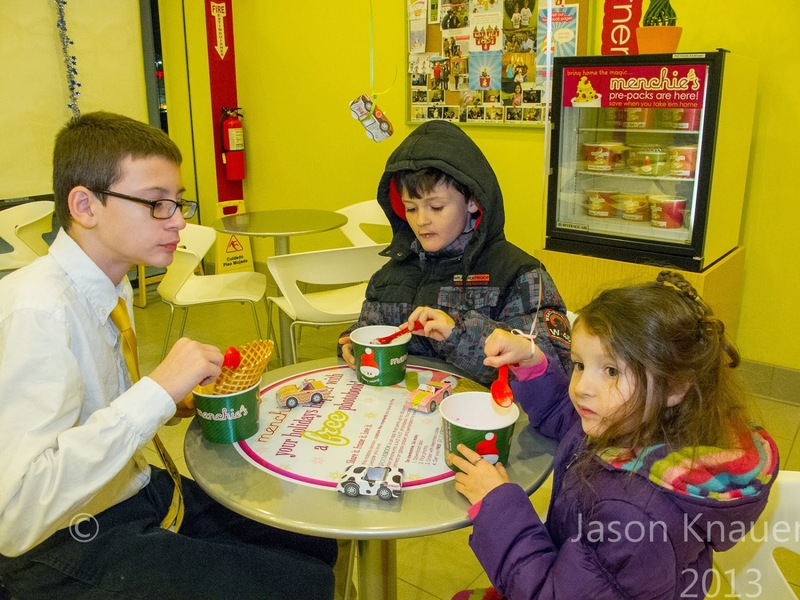 If you don't know what a Menchie's is, it's a fro-yo(frozen yogurt) place that started in LA and is now all over the world, and there are 3 in Maryland. When we came in, there wasn't any one there, just the cashier! As I looked around, I saw Menchie's T-Shirts, fold-able cars, and Menchie's balloons. There was also a chalk board where you could write your name and cartons of fro-yo to go. There were flavors like pistachio, vanilla snow, red velvet royal, and chocolate bar. Then, there were toppings like Captain Crunch Berry Cereal, Chocolate Sunflower Seeds, Mochi, Sour Gummy Worms, and Maraschino Cherries. Before I decided what to get, I tasted some flavors, since they let us get the samples ourselves. But, finally, I decided to chose a mixture of eggnog and dulce de leche with grasshopper chocolate mint cookies, dark chocolate chips, and milk chocolate fudge in a waffle cone(with no extra charge!). My mixture was delicious! The waffle cone was crunchy, the fro-yo was creamy, smooth, and tasted exactly like what it was supposed to be. After we ate, I wrote my name on the chalk board, and my brother and sister got fold-able cars and balloons. I also got my picture taken with the owner, and I even signed the photo! I give ***** stars for food and ***** stars for kid friendly.The reason why I give 5 stars for kid friendly is because that during the summer, there will probably more people there. I would really want to come back here in the summer. Well, that's all. Bye, and hope you have a happy New Year! My Interview for "So, You Want to be a Chef"
I am 12 years old and in 7th grade. I am the oldest. My brother Owen is 8 and my sister Olivia is 4. 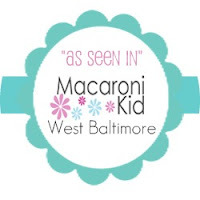 I live in Baltimore, Maryland, and I love to eat!